Robotic Radical Cystectomy with neuro vascular bundle preservation and full intra corporeal Neo Bladder performed by Dr Pierquet G. in Clinique Saint Augustin, Bordeaux. Surgery performed with Da Vinci Xi system. Robotic vesical seminal & neurovascular bundle sparing radical cystectomy by lateral approach & full intra corporeal neobladder performed by Dr J.B. Roche with Da Vinci Xi System at St Augustin, Bordeaux. 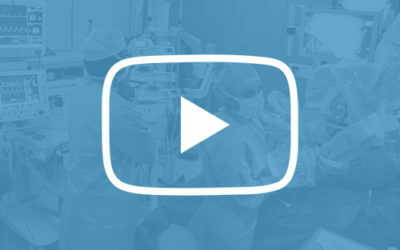 Robotic radical cystectomy with Neuro Vascular Bundle Preservation performed by Dr J.L. Hoepffner with Da Vinci Xi system in Saint Augustin, Bordeaux. Robotic Ureterovesical reimplantation after failure of a first open procedure performed with Da Vinci Xi system by Dr L. Lopez at Saint Augustin, Bordeaux. Robotic radical cystectomy with intracorporeal neobladder performed by Dr J.L. Hoepffner in Saint Augustin, Bordeaux. Da Vinci Xi.